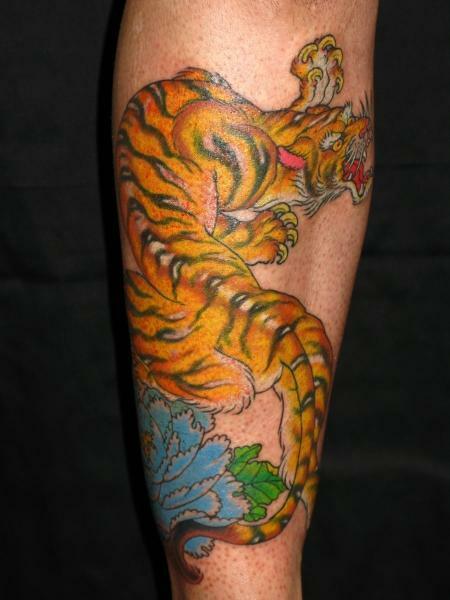 Tattoo Blog » Meet Timothy Hoyer! Tattoo Blog » Inspired » Meet Timothy Hoyer! If you ask me, there are many ways in which a true artist can be measured: devotion, practice and respect of their craft certainly have their place, but there are also lesser talked about aspects of an artist’s process that are very often clear insights into how talented an artist actually is. Perhaps that all sounds a little convoluted or esoteric, but I believe it to be true. I think that an artist like Timothy Hoyer offers a clear glimpse into his natural ability not through his artwork itself (though it is really, really, really nice stuff), but through his admission that he has no set plan in terms of colour scheme when he works and that he waits for a little voice to kind of keep him going forward. In other words, Hoyer relies on his gut and all I know is that any artist who can rely on their gut is an artist who is fully aware at all times of what he or she is doing, whether consciously or subconsciously. What’s more, I admire Hoyer’s quest to take ugly things and make them beautiful or to examine the contrast between ugly and beautiful. This sort of challenge has always interested in me in all forms of art, not just tattoo and I really appreciate that Hoyer takes the time to work these kind of challenges out through his tattoo work. In other words, this is an artist who cares – honestly and truly about his work and most certainly, about his customers. The craft itself seems to be an exploration for Hoyer and it’s never something that he takes lightly. Through his own desire to push himself and his work into different directions, Hoyer has forged his way into the tattoo industry as an artist who isn’t categorised as being from one particular or another. His images blend and highlight different styles, while maintaining an entirely original appeal to them all the while. In addition to this, Hoyer’s style and approach help to create an appeal for a specific type of client: one that trusts the artist to explore and expand on everything from styles to composition to colours. He is truly one of a kind and the tattoo community should most certainly count itself as lucky to have him on their side.